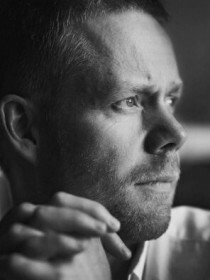 The work of the award-winning British composer Max Richter includes concert music, film scoring, and a series of acclaimed solo albums. Working with a variety of collaborators including Tilda Swinton, Robert Wyatt, Future Sound of London, and Roni Size, Max's work explores the meeting points of many contemporary artistic languages, and, as might be expected from a student of Luciano Berio, Max’s work embraces a wide range of influences. Recent projects include the ballet INFRA, for Wayne McGregor at The Royal Ballet, with scenography by Julian Opie, the award-winning score to Ari Folman's Waltz with Bashir, and the music installationThe Anthropocene, with Darren Almond at White Cube. 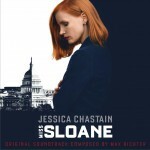 Max's music has formed the basis of numerous dance works, including pieces by Lucinda Childs, NDT, Ballet du Rhin, American Ballet Theatre, Dresden Semper Oper, The Dutch National Ballet, Norwegian National Ballet, among many others, while film makers using work by Max include Martin Scorsese (Shutter Island). Recent commissions include the opera SUM, based on David Eagleman’s acclaimed book, premiered at The Royal Opera House, London and Mercy, commissioned by Hilary Hahn. Current projects include Vivaldi Recomposed for Deutsche Grammophon, recorded by British violinist Daniel Hope and the Konzerthaus Orchester, Berlin, as well as a variety of other recording and film projects.